Swimmers new to the program must attend a skill assessment and group placement evaluation at the pool of their choice the first week of practice. Coaches will assign practice groups depending on skill level. Newcomers may not begin to practice with their designated group until all registration forms have been completed and all fees have been paid in full. Entry into advanced level groups is available by coaches' invitation only. Those who participated in the program last year may register only for the group with which they practiced last year. No swimmer may change group assignment unless instructed by coach. Coaches will notify the athletes of which meets your group will be attending. They will then let you know if the coach will sign the swimmers up or if the swimmers should sign themselves up. If the swimmers are asked to sign up on their own, they should go to the bulletin board to review the entry procedures and deadline. To enter a meet, fill out a meet sign up sheet, which is located at the end of the front counter closest to the lobby. 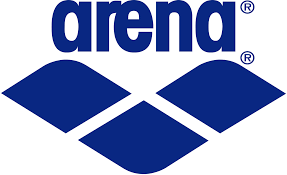 Meet entry forms must include: swimmer’s name, event number and name. Once the entry form is complete, place it in the entry box located next to the meet sign up sheets. Maneth P. Gravell started swimming at the age of six and swam competitively up until the age of twenty. Over that time, Maneth swam for the Darnestown Demons in the MCSL, Wootton High School, and for RMSC year round. During his swimming career, Maneth swam for many of the same individuals that are still involved with RMSC today. After graduating from Villanova, Maneth started coaching for RMSC in the fall of 1992. Maneth has coached at KSAC, Olney, and MLK. During this time, Maneth has worked with the Advanced Juniors, NDGs, and NTG. Maneth has worked with swimmers of all abilities ranging from nationally ranked age group swimmers through Olympic Trial Qualifiers. Currently, Maneth is the head NTG coach at MLK, and he enjoys coaching more than ever. Maneth has also coached in MCSL and CCSDA. He has coached at Darnestown, Olney Mill, Lakewood Country Club, and is currently the head coach at Argyle Country Club. He is also one of the co-directors for the Montgomery Stroke and Turn Clinic and SwiMontgomery programs. These have been highly successful swimming/lesson programs which can be found at every RMSC site. Since he began coaching at RMSC-MLK, Chris has been the head coach of the NDG group. He has helped coach many of the groups at MLK during his coaching career. He swam at University Hills summer pool (Princemont League), Eleanor Roosevelt High School and at the University of Maryland, College Park (1989-1993). He is the head coach of the Advanced Juniors and an assistant coach for the National Development Group. Brian has coached numerous swimmers and relays to #1 rankings in PVS and to Top 10 national age group rankings. He has also coached several swimmers to first place finishes at Zones, and coached swimmers who have broken USAS, RMSC, PVS & MCSL records. Additionally, Brian has coached swimmers who have been ranked first in the country for their age. Brian also swam for RMSC for over 10 years at the RMSC-Rockville site. Bill coached for RMSC back in the late 1970’s and early 1980’s, coaching NTG’s with Riley Eaton at the Martin Luther King Swim Center when it opened. He coached some of the Senior National qualifiers you see displayed on the plaques at MLK. He also coached MCSL, PMSL, and master’s swimmers during this era. He left RMSC to earn his master’s degree at Tulane University and had a lengthy career in Health IT before returning as a swim coach in the fall of 2017. He was a multi-year NAIA All-American swimmer and multi-year USA Water Polo Masters All-American player and coach. Bill began swimming career at Glenwood Pool (MCSL) at age 11. He was a team record holder, MCSL All-Star finalist, and winner (200 backstroke) at the MCSL Coaches Long Course meet. He swam at the Rockville Municipal Swim Center (age 12), then swam at SSY where he was a YMCA Nationals medal winner. Bill started the Bethesda-Chevy Chase high school swimming team in 1972 and was the team captain, team record holder, and letterman. He began his college career at Furman University where he was the Southern Conference 400 IM champion. Bill transferred to Fairmont State College, where he was a team captain, record holder, and NAIA All-American. Coach Anna Cheng is the Head Coach of the Junior 1 Group at the MLK site. She began coaching in 1998. Growing up, Coach Anna swam in MCSL for 13 years, for RMSC for 11 years, and for Our Lady of Good Counsel High School for 4 years. In the summer she coaches the Stonegate Serpents in MCSL with her brother Brian Cheng. Anna, is a proud mother of two boys, John and Justin. Anna is also a kindergarten teacher and teaches group and private swim lessons. She feels blessed to work with children throughout the year. Coaching, teaching and being a mom are her true passions. Danny Benedetti is the head coach of the Junior 2 group and the head coach of MINI’s for the RMSC-MLK site. Danny began his swimming career as an age group swimmer at the Aspen Hill Swim Club from 1990-2003. In high school he swam for Good Counsel. Danny attended the University of Maryland where he graduated in 2008 with a Physical Education degree. Danny was an assistant swim coach at Stonegate Swim Club from 2004-2008 and is the head coach of Connecticut Bel Air Swim Team.